Warren Buffett has long been a booster of American business. 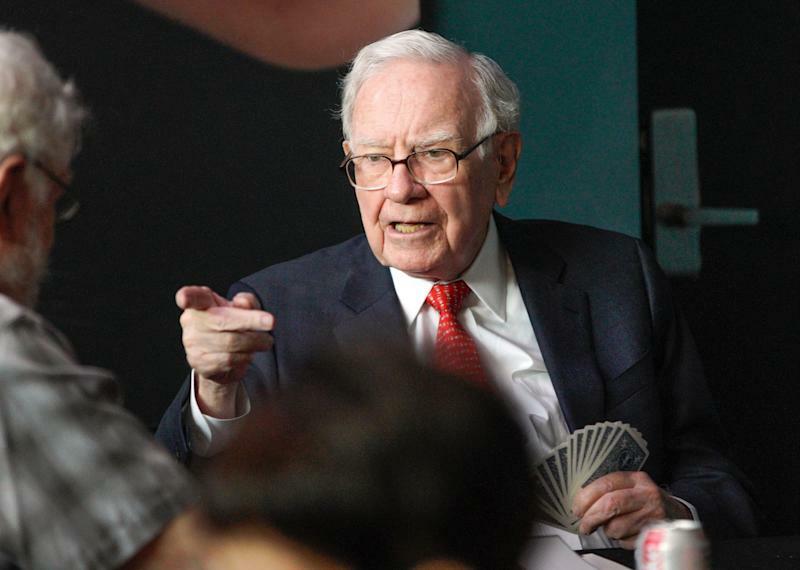 And in his latest annual letter to Berkshire Hathaway ( BRK-A , BRK-B ) shareholders published Saturday , Buffett not only touts the United States’ economic track record but also takes a jab at the doomsayers he’s met along the way. Including a younger version of himself. Over the last 77 years during which American companies have enjoyed these stellar returns, a lot has changed about the country and its financial standing. The national debt, for instance, is now more than $22 trillion . Those worried most acutely about this debt load note that the overhang presents a challenge to future economic growth, a financial burden for future generations, and risks the status of the dollar as the world’s reserve currency . Buffett knows that for many, this debt burden makes investing in a hard asset like gold attractive. One day the debt “must be dealt with” and that day will be a painful one for investors, the thinking goes. But to Buffett, it will be and has been far more painful for investors that try to anticipate that day of reckoning for the U.S. government while eschewing the “American tailwind” that has been so kind to him and many other investors. “Those who regularly preach doom because of government budget deficits (as I regularly did myself for many years) might note that our country’s national debt has increased roughly 400-fold during the last of my 77-year periods,” Buffett writes. In the long run, Buffett notes, we’re all dead anyway. And along the way towards that inevitable end, there are those who will believe they alone foresee how the collective story concludes. Perhaps it is with runaway inflation, rioting in the streets, a collapse of the modern economic system. But in this year’s shareholder letter — as he has in recent editions — Buffett reminds readers of the financial calamities endured during his own investing career. The reminder is not, however, to heed history’s warnings, but to recall that all difficult moments of this history eventually become history. “Our country’s almost unbelievable prosperity has been gained in a bipartisan manner,” Buffett writes. “Since 1942, we have had seven Republican presidents and seven Democrats. In the years they served, the country contended at various times with a long period of viral inflation, a 21% prime rate, several controversial and costly wars, the resignation of a president, a pervasive collapse in home values, a paralyzing financial panic and a host of other problems. All engendered scary headlines; all are now history. Buffett also reminds readers that the story of America’s economic success is a shared one. In a country of self-made success stories, no one truly meets the definition. “Charlie and I happily acknowledge that much of Berkshire’s success has simply been a product of what I think should be called The American Tailwind,” Buffett writes. “It is beyond arrogance for American businesses or individuals to boast that they have ‘done it alone.’ The tidy rows of simple white crosses at Normandy should shame those who make such claims. “There are also many other countries around the world that have bright futures. About that, we should rejoice: Americans will be both more prosperous and safer if all nations thrive. At Berkshire, we hope to invest significant sums across borders.